I have no idea what's going on with this wedding. But I know I like it. They remind of Ab Fab. Dahling. Haha i know the location too well. to me it looks more like a theme party then an actual wedding but one of the wedding gown wearing persons is indeed the real bride. Ahhh Berlin I will visit you soon. In the one with all of the beers in bowling ball formation, what the hell are those figurines? @17 helloo! i missed you! 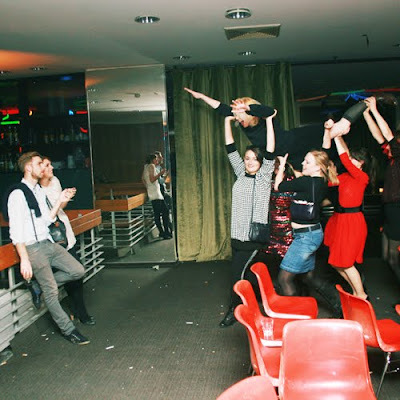 It looks like an awesome happening. Hearts. Oh my, I've never wanted to be at a wedding SO bad. p.s. 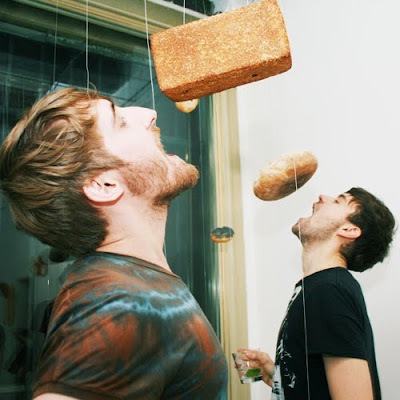 Hot German boys eating bread from strings!!!!!!!!!! I'm back...again...I can't stop looking at these! @wool we should probs take a trip to berlin. Oh my goodness, how unique!